Do you know that baby car seats do not stop upon baby graduating from his/her front-facing car seat? Yes, you know about the rear facing toddler car seat stage before the transition to forward-facing, but do you know that it is highly recommended, in fact, depending on what state you're in, there are laws that mandate children to be seated in designated car seats before they are allowed to ride in a car without one. Ladies and gentlemen, let us present to you the 'booster seat' - the car seat that your child will use for the longest time amongst all! 1. What Is, and Why Do You Need A Booster Seat? 2. When, and How Long Do You Need A Booster Seat? 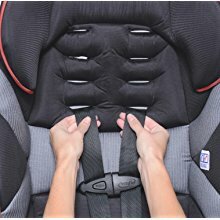 A booster seat is basically a car seat that elevates your child to the correct height position so that the car safety belt can be placed in the correct manner and position to safely protect your little one in the event an accident occurs. This product is great for younger passengers who still need to grow into the adult car seat, but are too big for a five-point harness. In our brief introduction above, we mentioned that the car booster seat is required when your little one has outgrew the front-facing car seat stage. However, even by then, your child is still not big enough to be sitting in the correct position in a normal seat unassisted- the safety belt cannot sit correctly on his little body to perform its function, worse, it may actually do further and serious damage to your child in (God forbids) a crash if the safety belt lays against his neck or across his belly. With a booster seat, this risk is eliminated once and for all. As soon as your child outgrows the weight or height limit (whichever comes first) of his forward-facing car seat, it is time to transfer from car seat to booster seat. You will most likely need a booster seat for 6 year old, some even earlier! Among all the different stages of car seats, your child will be sitting in this one for the longest time. Generally speaking, it will be at least until the age of 8 to 12 years, or 135cm, whichever is the soonest. Another tip to find out when is the right time to graduate the booster seat is to check if the adult car seatbelt straps can fall naturally over your child's shoulder and across the lap like how it does on yourself. Once it is able to do that, you know it is the right time to retire the good ol' booster seat! 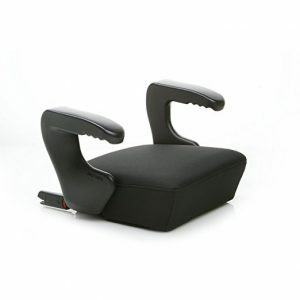 There are two types of booster seat - high back booster seat and backless booster seat. Regardless of which type you eventually go for, we recommend getting a booster seat with latch if possible. This is because a latch will keep your booster chair secured in place when getting your kid in and out, most importantly without one, you will have to stow it away at the boot or secure it with your vehicle seat belt when not in use because it will slip and slide around otherwise, thus leaving a potential safety hazard that may cause serious harm in the event of a crash. A bestseller and well-loved by many parents across the globe, the Chicco KidFit 2-in-1 Belt Positioning Booster Car Seat is one of the best high back booster you can get for your toddler. First and foremost, we love how it has 10 height positions of combined head and shoulder side-impact protection so that it caters to growing children at every height and stage, up to 100lbs. Even when your toddler is beyond this weight limit, s/he can still sit in it in the KidFit's backless booster mode (the backrest is removable) until 110lbs. 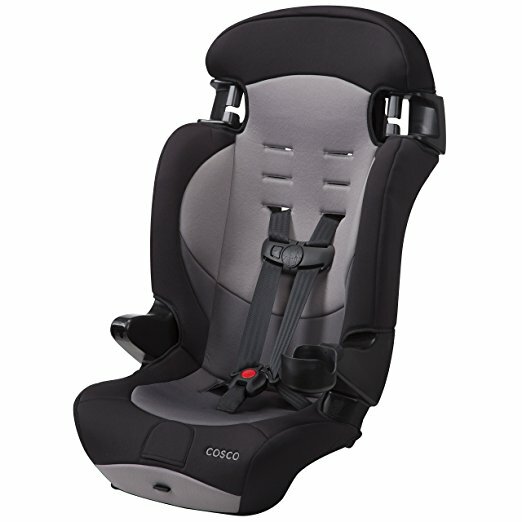 ​​Like all Chicco car seats, the KidFit includes SuperCinch LATCH attachment and one-pull tightener, which helps keep the seat in place for easy loading and unloading. This way, you don't have to worry about the seat sliding around (thus presenting a hazard in itself) when it is unoccupied. There is no harness or seatbelt that comes with the KidFit, but easy-to-use vehicle belt guides are provided so that you can fasten your vehicle seatbelt to your child at the right position each time. Two soft-sided cup holders are included at each side and they can be conveniently folded out of the way when not in use. For hygiene purpose, all the cup holders, seat pad and arm rest covers are removable (the latter two are machine-washable) for easy cleaning. You know how some travel car seat has rigid, stiff backs that makes children resist sitting in it? Well, not with this one here - the backrest of it can be adjusted in 2 positions to mimic your vehicle seat position, and the contoured seat with double-foam padding provide support in all the right places, ensuring your little one is always seated in ultimate comfort. With all these amazing features, it is no wonder both parents and kids love the Chicco KidFit 2-in-1 Belt Positioning Booster Car Seat so much. 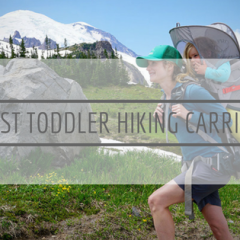 It is definitely one of the best travel booster seat that we'd highly recommend! For those with a small car and therefore need a narrow booster seat to save space, the Evenflo AMP High Back Car Seat Booster is the safest high back booster choice for you. Measuring at 16 inches wide only, this high back booster seat will surely not cramp your backseat (for reference, most booster seats have a width of at least 19 inches), no matter how small your car is. Similar to Chicco's KidFit, it has a high back that can be adjusted single-handedly as your child grows, but in 6 height positions only. Nonetheless, this feature keeps the side and head of your child supported in the proper position, and they are padded for your child's comfort. Likewise, the Evenflo AMP can be transitioned into a backless booster car seat if desired (say, to save more car space with just a small booster seat) but we'd recommend only doing so if your kid has reached at least 4 to 5 years of age, or is at least 40 pounds. Among all the top rated booster car seats, the Evenflo AMP High Back Car Seat Booster is definitely one slim booster seat that is hard to come by and is a saviour for parents with a small car. Designed, engineered, molded and assembled fullyB in the USA, this Evenflo booster seat is one of the best high back booster seat that is not only safe and durable but very, very affordable too. 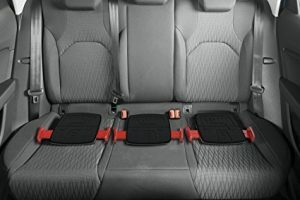 And with an overall weight of 6.8 pounds only, it also makes for one of the easiest portable booster seat so that you can easily move it from one car to another, if required. 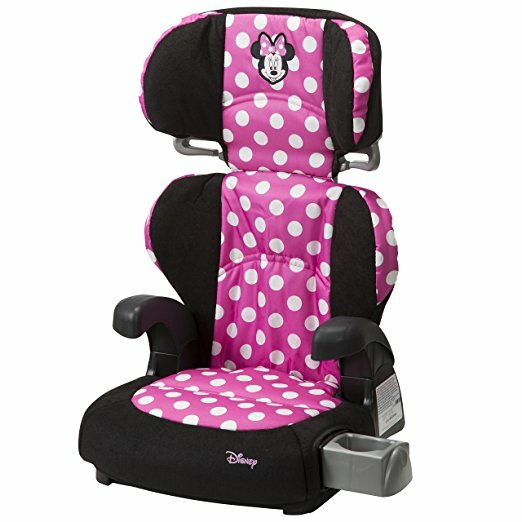 Do you know Disney has came out with its very own series of toddler booster seat? Yes, this Minnie Mouse Pronto Booster Seat is not one of those baby booster that is licensed to use the Disney character design but is made by the very own Disney itself. We know there are children who tend to argue or fuss when they are to be put into a car seat and this gives parents a real headache each time there is a car ride. With your little one's favourite Disney character, we guarantee you wouldn't have this problem anymore with this pink car seat. Designed for children who weigh 30-100 pounds (34-57 inches tall), this pink booster seat features an adjustable headrest that fits your growing child so that s/he can still sit in it even if s/he is too small to reach the actual headrest of the car seat. As your child grows, all you need to do is to raise the headrest. Even when your child has eventually outgrew the high back height, they can still use the booster seat in backless mode by simply removing the backrest. 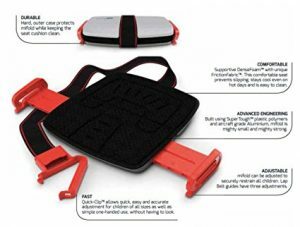 We like how this belt-positioning booster seat is so lightweight and easy to install, it is compatible with all modern car seating systems. 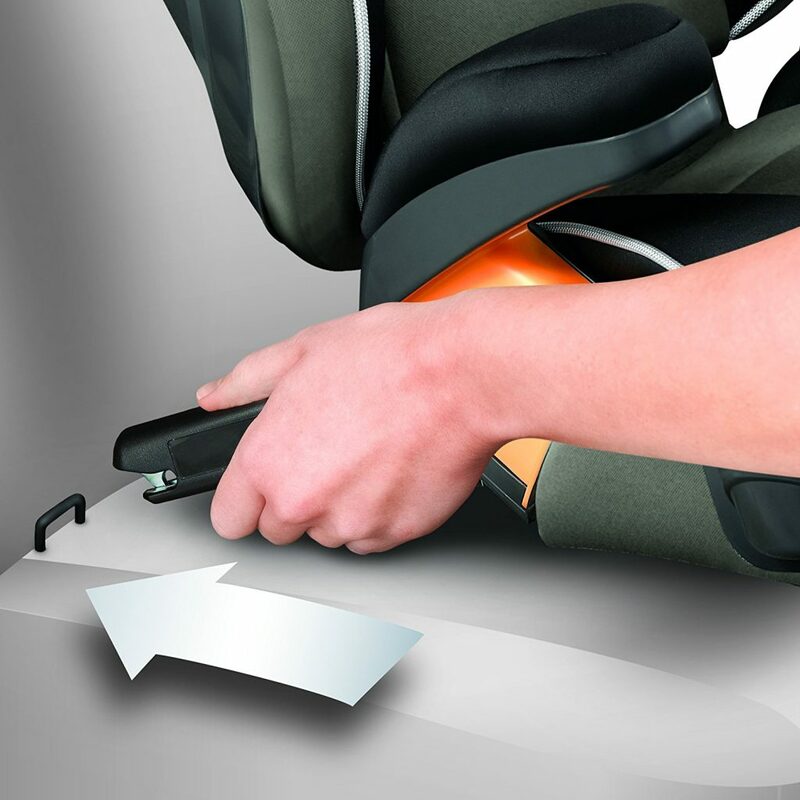 Simply place the booster seat inside your car and align it with the seatbelt system before hooking it under the adjustable headrest and connect it normally. 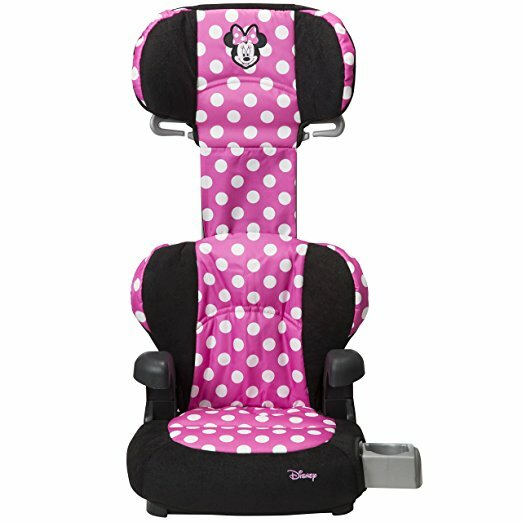 At such an affordable price point, we think the Disney Minnie Mouse Pronto Booster Seat is the best booster seat to have if you have a fussy kid - this toddler booster will surely change the game! And for the boys, there are Mickey and Cars to choose from too! Diono Cambria Booster Car Seat is another good choice to give a boost for kids in the car so that they can be strapped in securely and safely. Ergonomically designed and engineered with Safety Synergy technology, this toddler booster chair features double-wall construction for increased strength which makes it one of the safest booster car seat that provides complete safety and protection for your child. With a 6 position headrest, fit is not going to be an issue. You can easily adjusts up to 6.5 inches in height with one hand for a comfortable, precise fit and the deep headrest has complete side impact protection with its full body sidewalls that are lined with energy absorbing EPE foam. 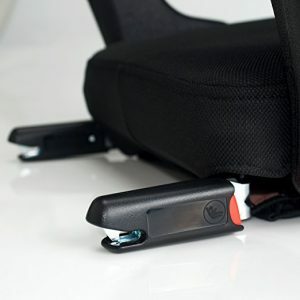 The integrated LATCH connectors and front adjusters allow for a safe and secure installation in seconds and keep the seat in place when not occupied. The ergonomically contoured seat bottom prevents submarining and has extra length for better leg support so that your little one can sit in comfort. What we really like about the Cambria is its spacious design that gives plenty of room for your child's shoulders, hips and legs. Thick foam, extra padding and tapered sides add to the total comfort level. 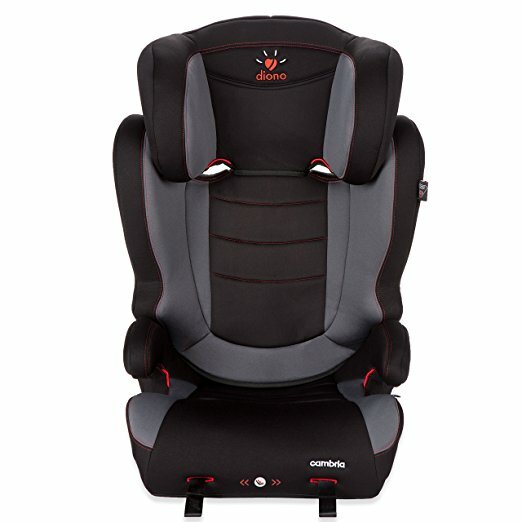 Versatile to be converted from high back to backless mode if desired, the Diono Cambria Booster Car Seat is one of the best booster seat for kids that you will not regret purchasing. A reclining booster seat (in two positions) makes it an easy fit to most vehicle shapes aside from providing ultra comfort for your child, and at less than 10 pounds, it is super portable to take on your travels and it packs flat for easy storage. As mentioned in the beginning of this article, most top rated toddler car seats do not come with its own safety belts or harnesses. Yet 5 point harness booster seat is highly sought after by many parents and we can totally understand why - a harness booster seat allows you to make the transition from harness car seat to belt-positioning booster easily as your child grows. In a way, a convertible booster car seat as such gives you the flexibility of getting one car seat instead of two after your little one has graduated from the rear facing stage. Yes, as a forward facing car seat with harness to strap your little one in, and as a baby booster seat thereafter. The following reviews are on some of the best 5 point harness booster in the market if this is the type you're after. 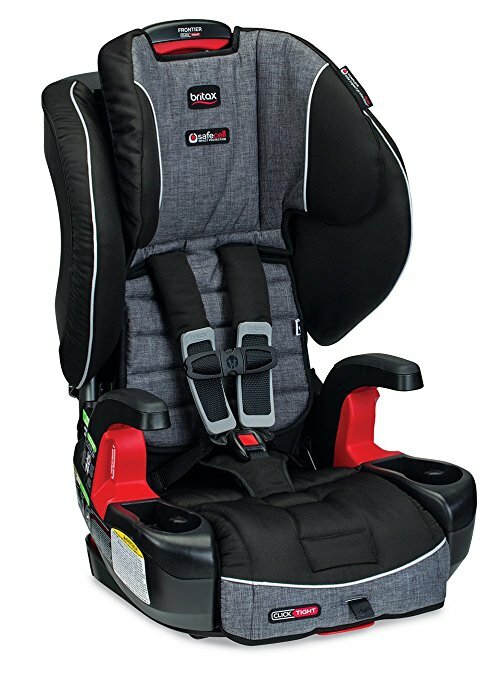 And now, for those who are looking for the best harness booster seat, look no further - the Britax G1.1 Frontier Clicktight Combination Harness-2-Booster Car Seat is the best booster for you. And this one here gives you exactly that, and more! With absolutely no rethreading ever, the quick-adjust 9-position harness with headrest provides for a comfortable, secure fit and the frontier click tight also features complete side impact protection. An advanced layer of protection is provided with its deep protective shell and the energy-absorbing foam headrest is designed to keep your child's head and neck extra secure. And the multiple recline positions ensure ultimate comfort as well as gives you the best vehicle installation angle. 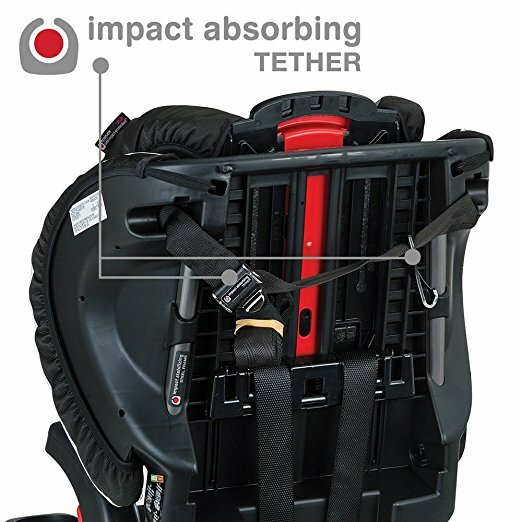 It is not exaggerating of us to say that this is one of the safest 5 point harness booster seat. Its SafeCell Impact Protection features include a steel frame, energy-absorbing base and impact-absorbing tether with staged-release stitches that slow and reduce forward movement during a crash. And let's talk about its revolutionary patented click tight installation system. If you're tired of, or shudder to think of having to shove, knee or yank your car seat into place, know that this britax booster seat requires absolutely none of it. Simply squeeze the release button to open, buckle the seat belt across the belt path and click the seat shut and you are done with proper installation. It is as simple as buckling a seatbelt - anyone can do it confidently! There are many car seat models from Britax, but we can safely say the G1.1 Frontier Clicktight Combination Harness-2-Booster Car Seat is the best Britax car seat especially if you're in the hunt for a five point harness booster seat. 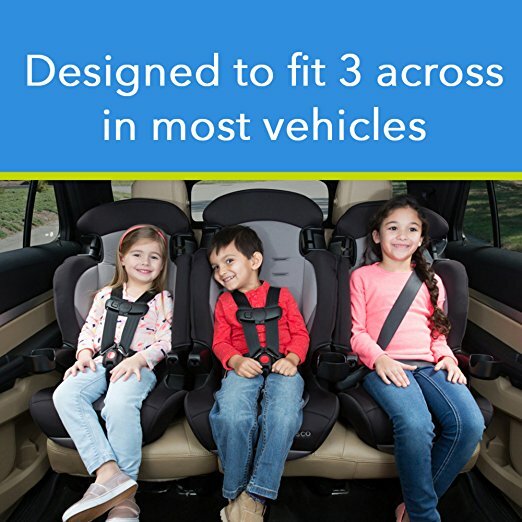 With all the impact protection features that work together to protect well beyond the established federal safety standards, you can be sure your child is surrounded in safety in this one. Coming very close to the Britax G1.1 is the Evenflo Maestro Booster Car Seat, another 5 point harness booster that ticks all our boxes. As a forward facing 5-point harnessed car seat, it can hold children from 22-50 pounds (height: 28-50" ) after which it can be converted to a belt-positioning booster for children from 40-110 pounds (height: 43-57" ). This allows for extended use as your child grows, with the upfront tightening and loosening feature making it easy to get your child in and out of the seat. The 4 shoulder harness and 2 crotch strap positions are among this seat's innovative design that adjusts to fit your child's needs as they continue to grow. What we really love is its auto adjusting belt path that assists in properly positioning the vehicle lap's shoulder belt across your child's shoulder to provide optimal safety. 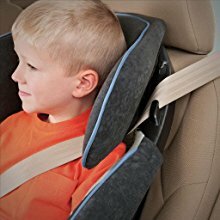 The uniquely-shaped headrest helps in the job too by guiding the belt around your child's neck and shoulder for a perfect fit . The lightweight design comes equipped with an easy to use LATCH system, including tether, for easy installation and movement between multiple vehicles. Integrated cup holders are built in on each side to keep drinks and snacks close without increasing the width of the car seat, thereby allowing multiple car seats to fit your backseat. Oh, and the soft seat pad is machine washable so that it is easy to clean up any messes (you know that's bound to happen). As one of the best harness to booster car seat, the Evenflo Maestro Booster Car Seat is another 5 point booster seat that takes safety very, very seriously. Fully designed, engineered, tested, molded and assembled in the US,its structural integrity is designed and tested to withstand approximately two times the energy of the Federal Crash Test Standard, apart from exceeding the brand's own rigorous side impact testing standards. 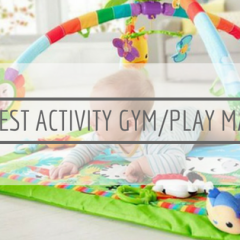 You can be fully reassured that your child is very safe, and comfortable, in this one. The Cosco Finale DX 2-in-1 Booster Car Seat is another high back booster with harness that we'd like to introduced to you. It is the best toddler booster seat to have if your family is growing, or if you have a small car, or if you're carpooling. As a 2 in 1 booster seat, it starts by keeping kids securely in a 5-point safety harness all the way up to 65 pounds. In its second mode as a belt-positioning booster, it has them covered up to 100 pounds. In both modes, the Finale DX Booster Car Seat is lightweight and easy to move from car to car, which makes it the perfect travel booster seat for families who are always on the go. 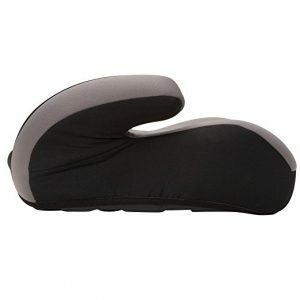 With a width of 18.2 inches only, this slim booster seat is designed to fit 3 across in the backseat of most vehicles. This is perfect if you have multiple kids of similar ages whereby they will need to be in a booster seat together at the same time whenever there is a car trip. And when there are so many kids in the car, you know messes are bound to happen. No worry with this one though, the car seat pad is removable to be machine-washed AND it is dryer-safe too, so you know a thorough wash is just a machine cycle away. And we thought you'd like to know that the cup holder is dishwasher safe too, and is detachable for use on either side of the seat. You will be surprised (in a pleasant way) if you find out the price of the Cosco Finale DX 2-in-1 Booster Car Seat, especially if you have felt the deluxe fabric it uses and after knowing that it is fully made in the USA with American and imported parts. 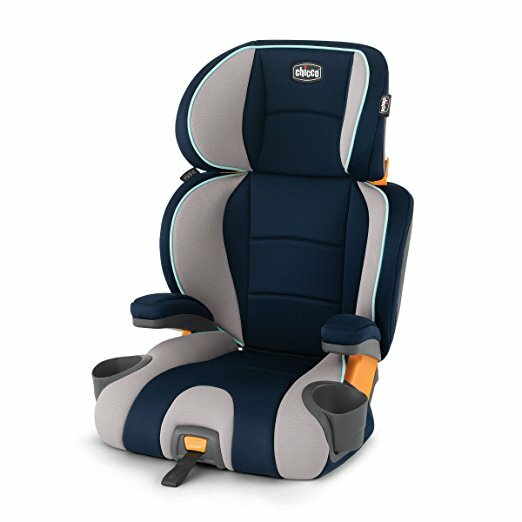 And with a IIHS Best Bet rating for use in booster mode under its belt (no pun intended), which is highest rating given to evaluate the proper belt fit, you know why this is one of the top rated convertible car seats that parents have voted as the safest toddler car seat in the market. 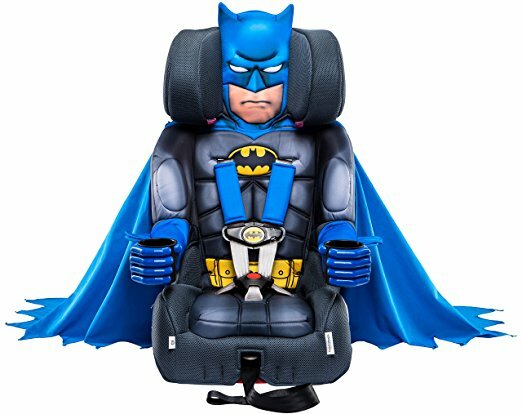 We couldn't resist throwing this one in - the KidsEmbrace Batman Car Seat Booster, complete with DC Comics Combination Seat and 5 Point Harness with Cape, is the best car seat for 5 year old boys and beyond, we guarantee! Don't assume just because it looks like a toy that the quality of this booster with harness is rather meh. 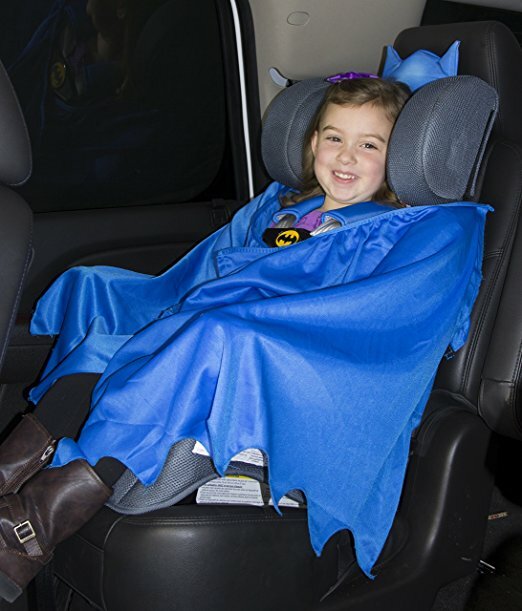 As a brand that is well known for making safety fun, its ergonomic design that includes a comfortable contoured seat, two cup holders for drinks or snacks and a detachable blue cape that doubles as a blanket has earned itself a IIHS certified "Safety Best Booster" badge and has exceeded the Federal Motor Vehicle Safety Standards. Definitely one of the best harness booster! 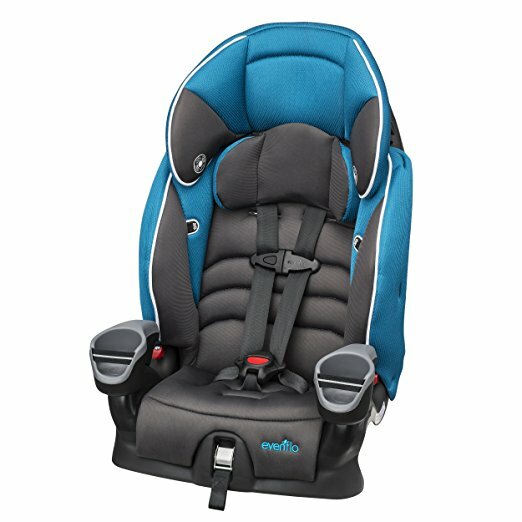 The car seat was designed for comfort with additional seat padding and a deep 3-position headrest contains EPS Foam that is energy absorbing for superior side impact protection. The seats have 2 large arm rests with cup holders designed into the seat for comfort and making sure your child has their favourite drink and snack. The patented 2-position crotch belt easily adjusts to grow with your child, along with seat belt guides located on the adjustable headrest for properly positioning the vehicle shoulder belt. For any messes created, rest safe knowing that the seat cover can be quickly removed, wiped off, spot cleaned and for those big messes, simply toss it into the washing machine! 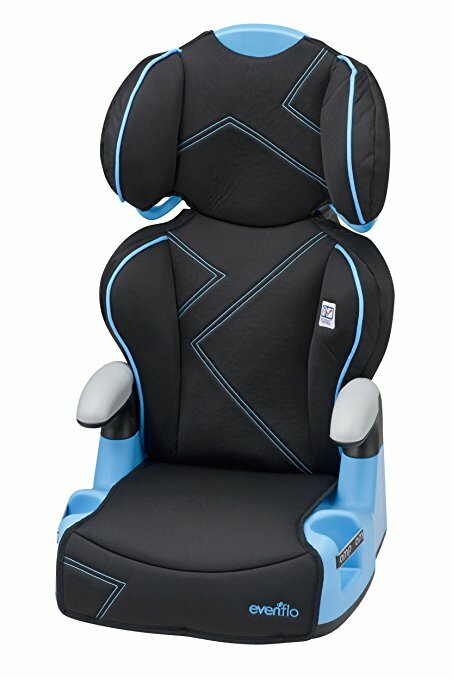 If you have trouble getting your toddler boy to sit still in his designated car seat, this high back booster with harness will surely change his mind - not only will he WANT to stay in it voluntarily, he will be rushing to, and enjoy thoroughly each time any car rides journey from now on (your only trouble may be trying to get him out instead)! Oh, in case your little man is not into Batman, know that there are tons of other superheroes to choose from (Captain America, The Incredible Hulk, Superman etc. and even Paw Patrol!) and for the girls, KidsEmbrace have got that covered too with their princess booster seat design (we're talking about Cinderella, Belle.....)! 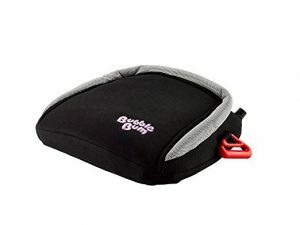 This backless booster seat from BubbleBum - the Backless Inflatable Travel Booster Car Seat is one of the best rated toddler car seat in the market. Don't believe us? Just have a look at all the awards it has under its belt (IIHS rated "Best Bet" Booster 7 years in a row to name a few)! As the world's very first inflatable, folding and portable car booster seat, the BubbleBum is made from a durable material (similar to that of life vests) that comprises of memory foam and a strong webbing harness. It can be inflated by mouth within 20 seconds, likewise, it also deflates easily for you to pack it in a purse or backpack for easy portability. 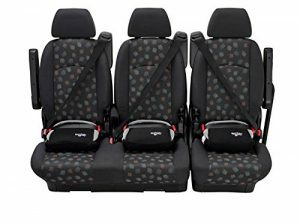 How it meets (and exceeds) its safety requirement and of that of the Federal Motor Safety Standard for USA is through the side positioning clips that position the lap belt portion of your vehicle seat belt over your child's bony pelvis area and away from the soft tissue of the abdomen. If you do not already know, this is the optimum positioning for the ultimate safety of children. For close-age siblings, this is the perfect booster seat for '3 across' tight fits as it is only 13" wide. Ideal for vacation, car pool and small cars! The BubbleBum Backless Inflatable Travel Booster Seat is also one of the lightest big kid booster seat weighing at just 500g - that is equivalent to 3 small bananas! This makes it the best travel booster seat because of how small and light it is, and it comes with its very own stretchy bag for easy transportation. It is no wonder both parents and children love it so much, they are truly one of the best rated booster seats in the market, and very affordable too! For a more conventional backless booster seat that is safe and durable, we recommend the Cosco Topside Booster Car Seat to give your child a comfy lift-up. Designed to hold children weighing between 40 - 100 pounds, it features an extra-plush pad to give your little one the extra height needed to keep seat belts properly positioned. The plush seating makes it extra comfortable to sit in, which is a plus point especially during long car rides. Although not as light as the BubbleBum (seriously, nothing can beat that booster seat weight), the Cosco Topside is still wonderfully lightweight that makes it simple to be moved from car to car. What's really considerate is that it features a seat-safe design that leaves your car seats smooth and unmarked when switching vehicles. 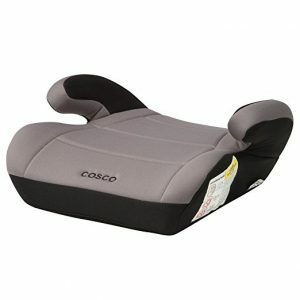 The Cosco Topside Booster Car Seat is perfect for those who are looking for a simple, fuss-free backless booster seat that is most importantly safe and durable. And oh, for those looking for cheap booster seats that do not compromise on quality, this one here will surely not disappoint! The Clek Ozzi Backless Belt Positioning Booster Car Seat is another child booster seat that we'd like to recommend to you if you have a bigger budget. This backless booster is built to be like the seat in your car - the brand's ComfortCube construction has included an additional thick layer of padding that protects against numb bums, which is what you can get if you sit on hard surfaces for prolonged period of time - even your legs fall asleep! In addition, it is tailored in plush automotive grade fabrics (that is removable and washable) to match your vehicle’s interior so that it does not stick out like a sore thumb. What we love about the Clek Ozzi is that it has a latch system that lets you attach the booster seat securely to your vehicle's lower anchors in seconds. 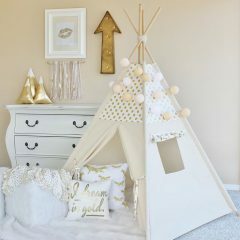 This provides additional stability in case there is a collision, otherwise, it stays in place firmly without sliding around when your little one gets in or out of it. We also like how this one has two arms rests on each side just like how the high backs would have so that your little one can rest his/her arms comfortably. Nonetheless, although still considerably more lightweight than most other booster seat with back, the Clek Ozzi is comparably heavier than other backless booster reviewed here. Understandably so, when it has all these features inbuilt in it. Nonetheless, if you'd wish to transfer it from car to car or bring it with you on your travels, the Clek Ozzi Backless Belt Positioning Booster Car Seat is still doable at 6 pounds. For better convenience and portability, you can also buy its carrying strap separately to make it a no-hands carrying option as you zip through the airport, walk through the city or even catching a taxi! 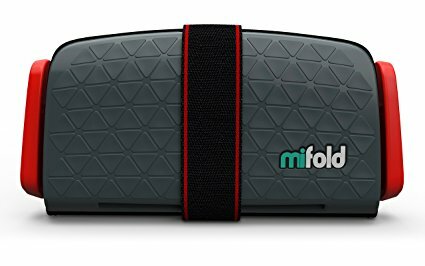 If there is one kids booster seat that you must have as a parent-on-the-go, we think it is this mifold Grab-and-Go Car Booster Seat. This is one booster that you can keep spares in your car without cluttering or losing baggage space. You can perhaps tell from the picture why this is so - perhaps the most innovative, advanced, compact and portable booster seat ever invented, the mifold is 10 times smaller than most booster seats and as you can see, it folds up compactly to fit into any child's backpack, your own bag or even the glove compartment. Despite its size, it is equally as safe as standard booster seats. It is worthy to note that the mifold works differently than traditional booster seats. While traditional ones lift a child to be in the position of an adult (so that s/he can be strapped in like an adult), the mifold does the exact opposite - instead of lifting the child up, it holds the seatbelt down. This patented design takes the seatbelt off the stomach and the neck, and the lap belt guides have 3 adjustments with a QuickClip that allows quick, easy and accurate adjustment for children of all sizes. You can even do so single-handedly without having to look! And being so small, it makes for the perfect 3-in-a-row for carloads of kids. Don't misjudge the mifold because of its size. 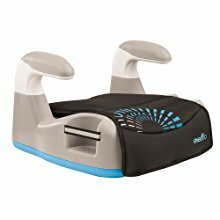 It is made by top designers, engineers and industry experts using super tough plastic polymers, aircraft grade aluminium and supportive DenseFoam with unique FrictionFabric (that prevents slipping and stays cool on hot days) to produce the most comfortable, safe and easy to use booster seat. 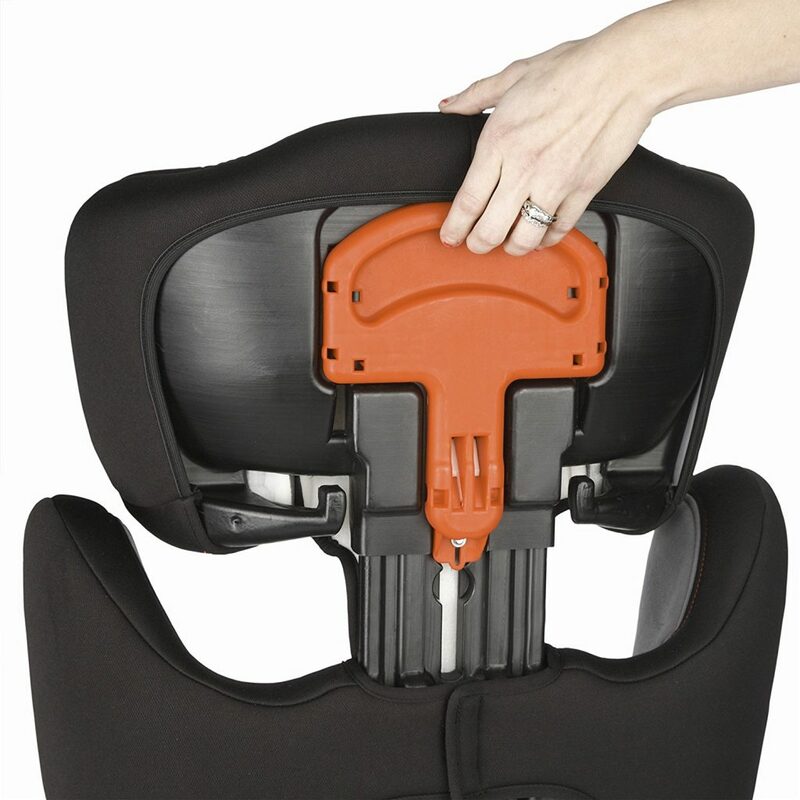 Regularly crash tested successfully in certified facilities around the world and meeting and exceeding the Federal Motor Vehicle Safety Standard, the mifold Grab-and-Go Booster Seat can be adjusted to securely restrain children of all sizes. While it is excellent for daily use, it also functions as a brilliant child restraint seat for occasions when a traditional booster is not available or practical. Truly, it is the best booster seat for 4 year old and beyond!